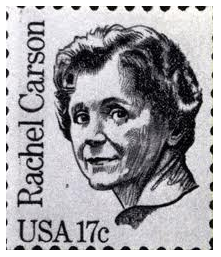 Trailer for Bill Moyers series on Rachel Carson. 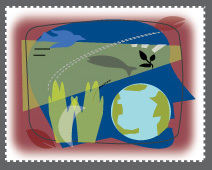 Bill Moyers Journal looks at the life and legacy of Rachel Carson through an extraordinary portrayal of her in a one-woman play performed by veteran stage actress Kaiulani Lee. The broadcast combines excerpts from the play, an interview with Lee and documentary reporting on Carson's life and work in a powerful look at this scientist, writer, and seeker of the truth. This is Kaiulani Lee portraying Rachel Carson in a semi-documentary based on Carson's own writings. 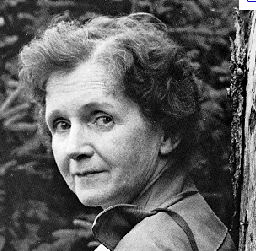 It depicts two interviews with Rachel Carson during the last year of her life, as she battles cancer and deals with the controversy created by her ground-breaking book "Silent Spring". ﻿ This very moving film can﻿ be streamed for free from Netflix and Amazon (free with Amazon Prime). This film is not just about environmental issues, but also about life, death, courage and truth.